My answer always goes like this: “Many of your potential customers are there.” Just do a Twitter Search and you will understand what I mean. Twitter also has some great features like Lists and Chats (through hashtags) that, if used well, will allow any business to increase its visibility without spending a fortune. Most importantly, Twitter provides a proximity, immediacy, and ability to connect with others that are unparalleled. I have never experienced that with Facebook. How can you take advantage of that proximity and immediacy, exactly? Let me show you with three examples. 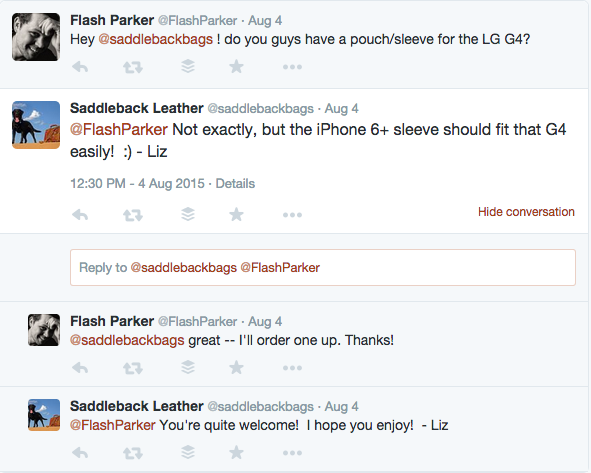 These small businesses do a great job with their Twitter presences! 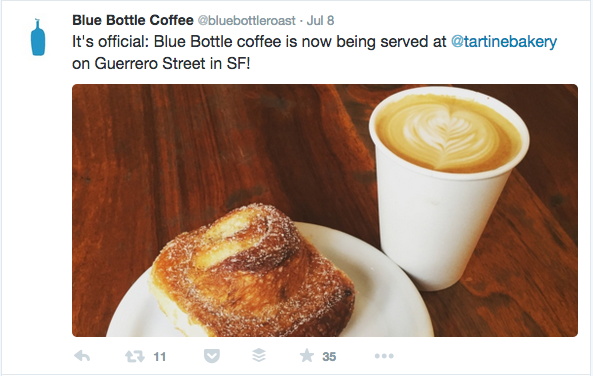 Blue Bottle Coffee is the brainchild of “a slightly disaffected freelance musician and coffee lunatic” who wanted to serve freshly roasted coffee using “the finest, most delicious and responsibly sourced beans.” Launched more than a decade ago, the Oakland, California, company now has cafés in Los Angeles, New York, San Francisco, and Tokyo. As a customer care platform. They respond to mentions, answer questions, and retweet content. 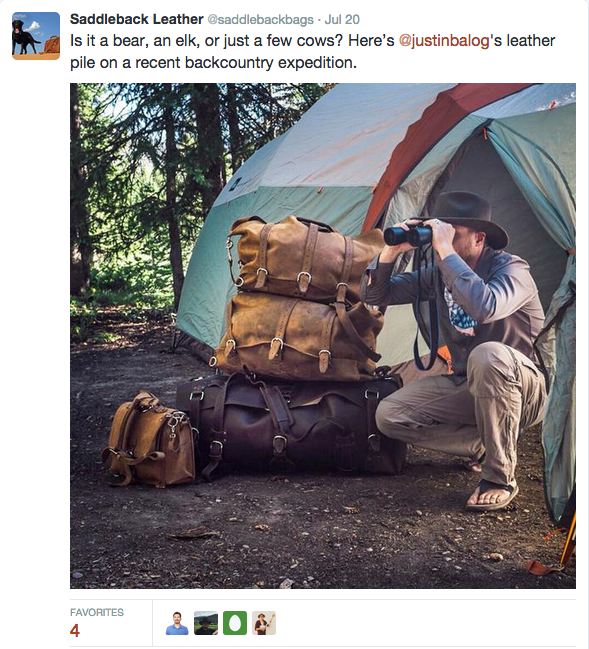 To highlight user-generated content (UGC) and build advocacy. And they ask for permission before using that content elsewhere. To share news, announcements, and press mentions (with usernames always included). To show off the company’s locations and products (in context) through photos. 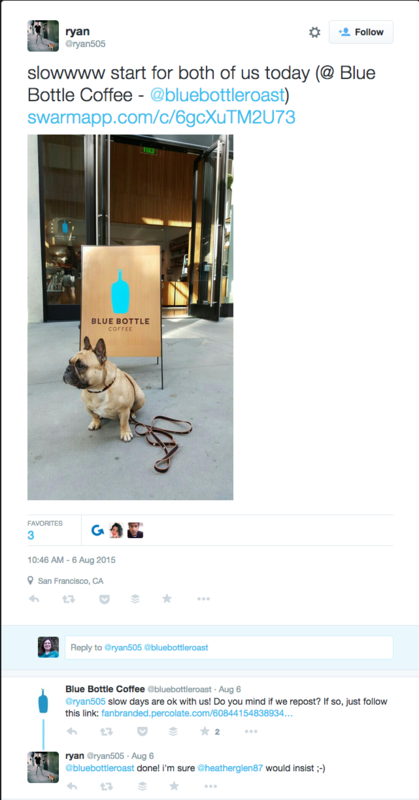 The Blue Bottle Coffee Twitter account looks and feels like it is run by a group of human beings who truly care about their customers. When a company boasts a slogan like this one, we are entitled to expect friendliness. 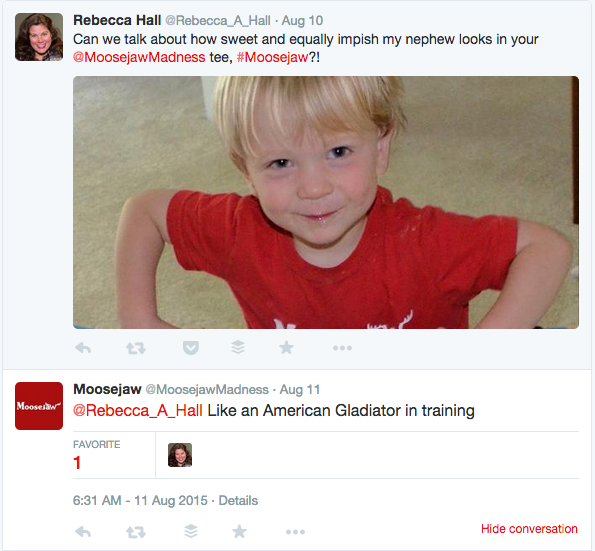 And Moosejaw, a business headquartered in Michigan, delivers on its promise. 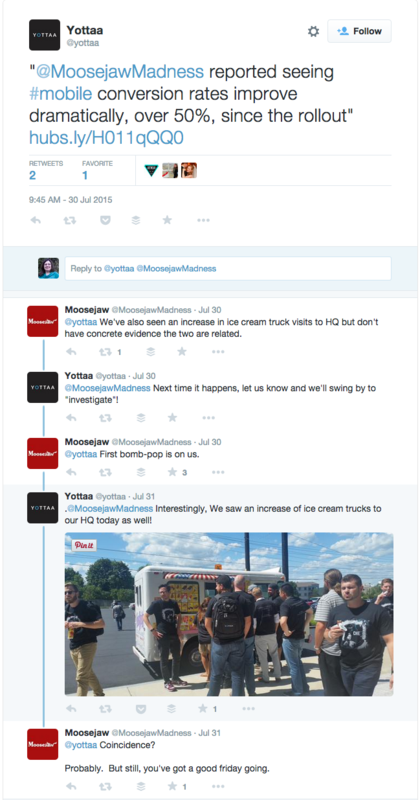 A quick look at the Twitter stream reveals a quirky mix of pictures, GIFs, and other posts. There are many witty and humorous Tweets, especially among the responses to users mentioning the company. It’s clear that the strategy is to put fans and customers front and center. All in all, Moosejaw lives and breathes a culture of fun. You want to mention them just to see the kind of entertaining response they will come up with. That’s what I call a personalized experience! I like the Twitter account for several reasons. First, the profile picture and banner are totally in synch with the company’s story, which you can read here. There is also a strong focus on customer service. For example, only one person answers questions and inquiries; she includes her name in every Tweet. The visual aspect has not been overlooked either. Beyond the usual videos and photos touting the greatness of the products, you will find submissions from travelling customers sporting the leather bags. This is not just a nice touch. It also helps others visualize themselves using them. 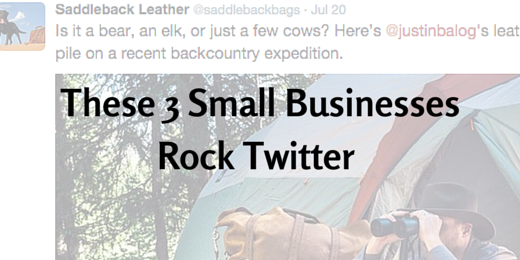 Overall, the Saddleback Leather Twitter account is more self-promotional than the other two in the list. However, the high level of responsiveness and willingness to engage with users through questions balance everything out quite nicely. It’s a winning approach! That’s all for now, folks! See you next Friday for another list of tips to help take your small business to the next level online.